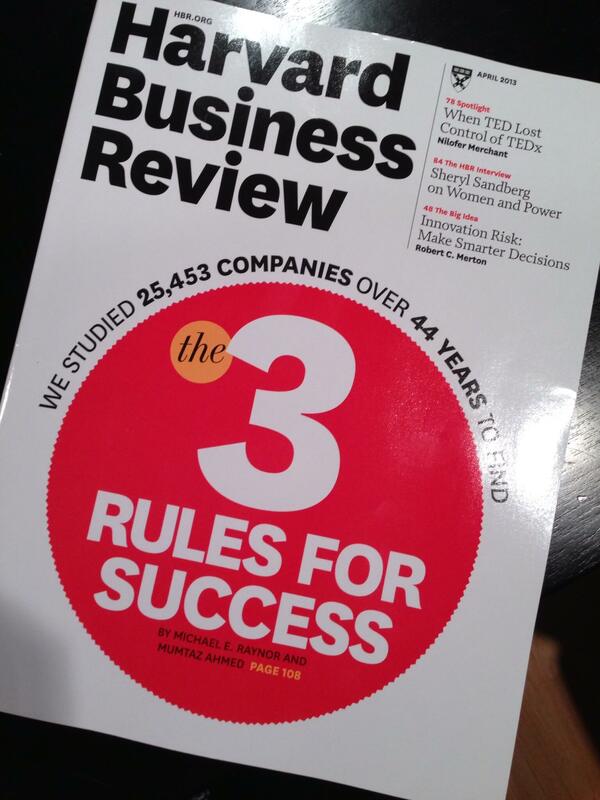 Just got the latest issue of Harvard Business Review and was intrigued by the timely cover story, Three Rules for Making Your Company Truly Great. It has been a long, hard ride though the Great Recession of 2008, 2009, 2010, 2011 … and I think many of us are looking for solid advice and tips for calibrating our strategies against anything amid this constant fog of uncertainty. This article gives us three simple rules backed by some solid research (25,353 companies over 44 years). It reminds me of the last major piece of work by Jim Collins and Jerry Porras in their now classic book, Built to Last, which we used extensively in the CPA Vision Project in 1999. Better before cheaper (it’s best to compete on differentiators other than price). Revenue before cost (prioritize increasing revenue over reducing costs). What do you think about this advice? is it really this simple?